Back in the late ’90s when both Nigel Benn and Chris Eubank retired, it was widely believed that Britain, or boxing, may never see another rivalry like it. 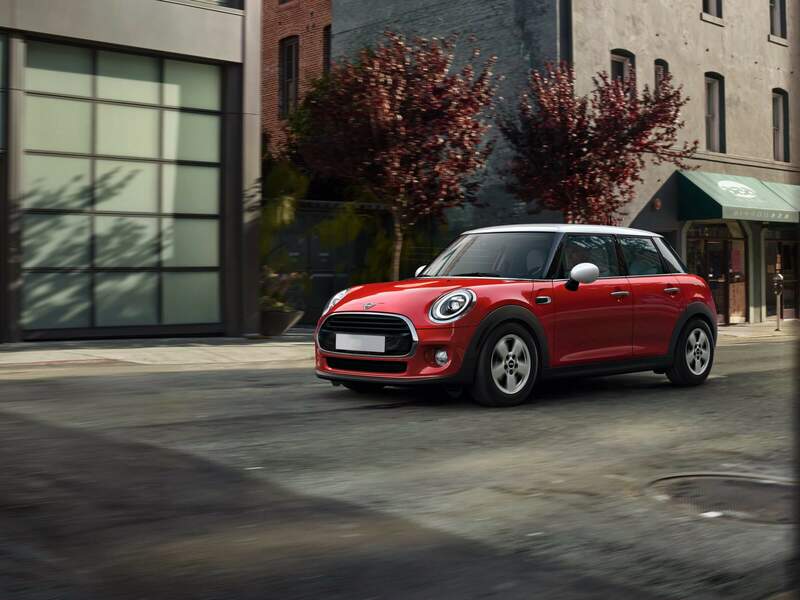 Boxing may not, but Britain certainly has as two new MINI Coopers lock horns. We recently had the pleasure of testing out the new MINI Cooper. Just for fun, we decided to compare the 1.5 petrol 3 door back to back with a 1.5 diesel 5 door model. The new 2018 MINI has updated styling, more equipment and technology as standard and they’ve also increased the ways in which you can personalise your MINI. All MINIs now come with a multi-function steering wheel and a 6.5 inch colour touch-screen surrounded by an illuminated outer ring (it’s pretty cool) which mimics changes such as stereo volume and turns green when the start stop system is activated. MINIs aren’t quite as ‘mini’ as the original, with each new model growing in size, however the rear leg room in the 3 door is still minimal whereas the 5 door benefits from more leg room and also a larger boot. One of the surprising features when it comes to size is the amount of room in the front; the seats can drop very low meaning even the tallest of people will be comfortable in both the 3 or 5 door version. The MINI Cooper fares better than the MINI One (which comes with a 1.5, 3 cylinder 101hp engine), due to the better spec, favourable contract hire rates (link to Mini offer) and comes with a choice of a 1.5, 3 cylinder turbo engine with 136hp, or a 1.5 diesel with 114hp. The 1.5 petrol Cooper is the engine that really stands out; it has a nice sound to it especially compared to the diesel and with having around 220Nm of torque from just 1250 revs, the engine pulls strong. We also achieved a very impressive 49mpg on average over the week we had the car which included a mixture of town and motorway driving plus sitting in traffic. The 1.5 diesel achieved slightly better fuel economy of 52mpg from the same driving situations, however we don’t think the small increase in economy outweighs the extra cost to purchase or lease the Cooper diesel, plus diesel is more expensive at the pump. All in all we were rather impressed with the 3 and 5 door versions, the 5 door obviously adding more practicality and space should you need to use the rear seats often. The car is clearly a more premium option than the likes of the Peugeot 208 or Vauxhall Corsa, and aims towards rivals such as the Audi A1 and DS3. So overall, both MINIs are a stylish option, however we were won over by the 1.5 petrol 3 door despite the added practicality of the newly introduced diesel 5 door version. Both should appeal to an even wider audience than ever before.